Avignon airport and TGV rail station. 5 km by road from the A7 and A9 motorways. Château Correnson is a former vineyard estate dating from the 18th century comprising several buildings, extensive wooded grounds and a swimming pool. The classes and accommodation are all on site. The school is housed in two buildings: the "Château", which is the main building, and the "Magnanerie", a building formerly used as a silkworm nursery. The premises have been recently renovated and offer every modern comfort whilst retaining their original charm. 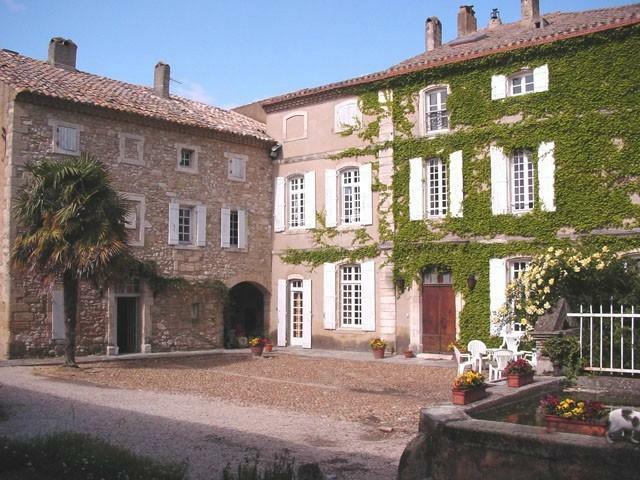 - Château: 3 classrooms, sitting room, dining room and bedrooms. - Magnanerie: 4 classrooms, office and 7 bedrooms. - All teaching is based on individual student needs. - Groups consist of 2-4 students Students all have a comparable level of French and the groups are homogenous. If a student is the only one at his/her level, he/she will have individual tuition of 2 hours in the morning and three lessons in the afternoon. - Other, highly motivated students, all aged over 23 years (diplomats, international civil servants, executives and business men and women, all of them Francophiles). - Experienced teachers, all excellent motivators and part of the team for several years. 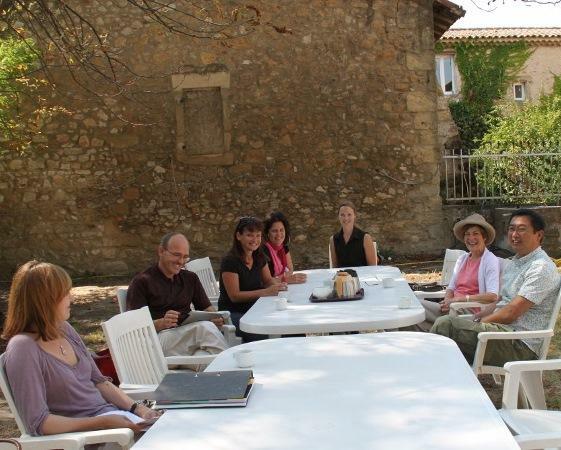 The language school takes students all year round apart from a break at Christmas, two weeks in Spring and in Fall. This is a small study centre and the number of students is limited to 16 per week. We welcome new arrivals every Sunday evening at 6.00pm for a minimum of one week's stay. We like to be informed of travel details a few days in advance in order to arrange to meet students at the Avignon TGV rail station (taxi around 60€). Teachers and other members of staff organise entertainment during breaks, at some mealtimes and on some evenings. Guests are invited three times a week to enable students to discuss topics of interest - economics, politics, major institutions, Europe, wine, etc. The atmosphere is very friendly thanks both to the staff and the various native speakers who contribute to the study programme.